It’s time to review my online income report from last month. This report only includes income I received from the month of August. If I haven’t received the money, then I don’t put it in this income report. This is the best way for me to track how much money I am making on a monthly basis. While this is the best way for me to track my income, it’s also an annoying method. I say this every month, but a good amount of my income is paid out anywhere from 30-90 days after the work is done. For example, my affiliate income was at an all time high even though my traffic was down. The downside? Until I actually receive the income in my bank account, I can't count it. Instead, it takes about 60 days to report on this. Oh well, I guess I can share in two months 😉 Do you get my frustration? So even though I am sharing this income report for August, only some of the income is actually from August and the rest of my income was earned in May and June. Can you believe August was my tenth month freelancing full time?! Last summer I was still at my day job working a million hours a week. Starting this blog has changed my life, it's just crazy! I've started using my Simplified Planner to record every sale, credit, etc. I earn on a weekly basis. It's a little challenging and time consuming to track income, but once a week for about 30 minutes I just go through some of my accounts and write things down. I've tried using online programs to track my income, but I'm a paper person when it comes to these kinds of things. The only thing I'm not tracking weekly is my ad income because it just annoys me to do that. But now that I think about it and am typing this post, maybe I should? And come to think of it, I just remembered that I don't track a couple smaller affiliate programs either. Ugh, I'm bad at this. No wonder I end up with surprise payments each month, ha! Other than that, I'm not sure how to track income. Technically, some of this is earned income right away from my courses and product, and some of this is just income that I won't receive until a couple months down the road. Either way, it's helping me become more aware of how much I'm potentially earning each week. I really want to work on having a weekly paycheck “snapshot” so I can gauge things. Here's a breakdown of the past several months so you can see how I've worked from being more freelance driven to income coming directly from my own brand/blog. Last December my freelance income made up 85% of my total income. This past August, only 12% if my income was freelance based. My freelancing income is about 50% less than previous months! My goal has always been to have more passive income than freelance income. Luckily, I timed things right. My affiliate income and blog income were increasing over the summer as my freelancing income was decreasing. Since I started freelancing, I've always intentionally kept my hours part time so I could grow my blog. 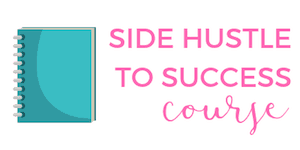 Over the past few months, I've been slowly breaking up with my freelance clients so I could focus on blog growth, creating and promoting courses and various projects geared towards larger audiences. Breaking up is so hard! I get sad about it, even if it is business and not supposed to be personal. Right now, my freelance services are limited. I even took down my Hire Me page a couple months ago, but continue to receive requests every week from potential clients. Presently I offer Pinterest consulting as well as one-off projects, like creating images for a website. These are less time consuming for me and I really enjoy it, so it's a win-win. Overall, income from my courses is down. I didn't do any promoting for either course in August and it shows. I knew this would go down as I took time off for vacations and wanted a break, ha! It is awesome that I was able to make money from my courses without doing anything thanks to email funnels or direct traffic, but it also shows me that I need to keep up with promoting if I want to make more income from this source of revenue. Fortunately, I have plans for the next four months to promote my courses again! I receive a lot of emails from readers who struggle with designing pins for Pinterest. Many readers have told me it can take them twenty minutes or more to create one Pinterest pin. That's way too long to spend on designing one pin! 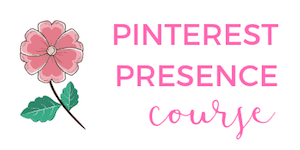 I created a dozen Pinterest pin templates that are fully customizable that everyone can use! I selected twelve different Pinterest pin templates that have converted really well. If you spend time on Pinterest, you will notice certain Pinterest pin trends and these all work perfectly! When someone purchases the templates, they also receive a video I made with some tips on making the pin templates custom to their blog, as well as a video on how to upload custom fonts. The best part is someone can now create a Pinterest pin in a matter of a few minutes. 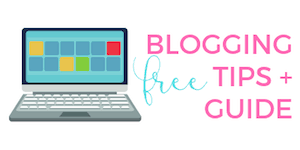 This is a major time saver and one less thing a blogger has to worry about! 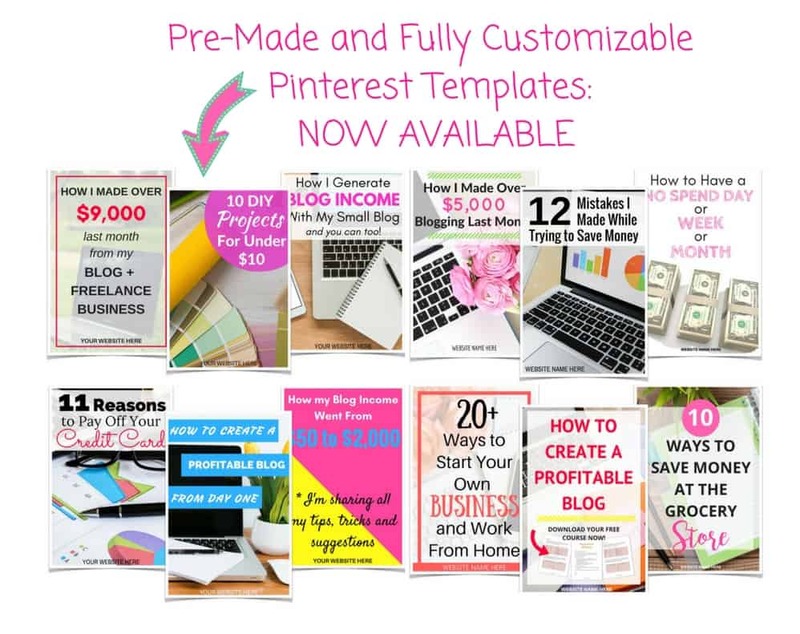 You can learn more about the Pinterest pin templates here. $9.95 FreshBooks – I used the free 30 day trial and LOVED FreshBooks. I use the cheapest monthly plan and it’s seriously saving me so much money each month when I invoice clients. I don’t know why I didn’t do this several months ago? When I think about how much money I could have saved, I get so annoyed, ha! Seriously, if you are a freelancer and you use PayPal to invoice clients – STOP. Switch to FreshBooks. You will pay like 50 cents per transaction as opposed to 3-4% in PayPal fees. That’s crazy! This month my expenses were around 6% of my budget. I try to take care of a lot of things on my own so I don't have to outsource. I'm ok with all my expenses listed above and wouldn't really do anything different. Since I've been only working part time hours, it's definitely easy for me to do the majority of the work! Using ConvertKit and LeadPages together has been amazing. I’ve created some really great newsletters, course sequences, funnels and sign up forms with ConvertKit. LeadPages has skyrocketed my email subscriber list and what I use for hosting webinars. I don't include LeadPages in every income report as an expense because I pay it quarterly. I don’t include Tailwind or Bluehost in these expenses as I have prepaid for the year. Tailwind is the scheduler I use when I do all my pinning on Pinterest. Last August, I made over $700 from my blog while working full time at my day job. I thought it would be fun to compare numbers from last August and this past August. I made $705 in freelance income last August. This past month I made $1,200. Ahh, those numbers seem so close yet don't tell the whole story. Over the past twelve months, I made $31,198 from freelance income. WTF?! That's my first time adding it all up and that's crazy. Geez, now that I've seen that number maybe I should continue my freelance services. I made $35 in affiliate income last August. This past month I made over $4,400. I still need to add up my last 12 months of affiliate income, so maybe I need to do a blog post on numbers and income in general. Clearly, I am not tracking individual stats and should be! 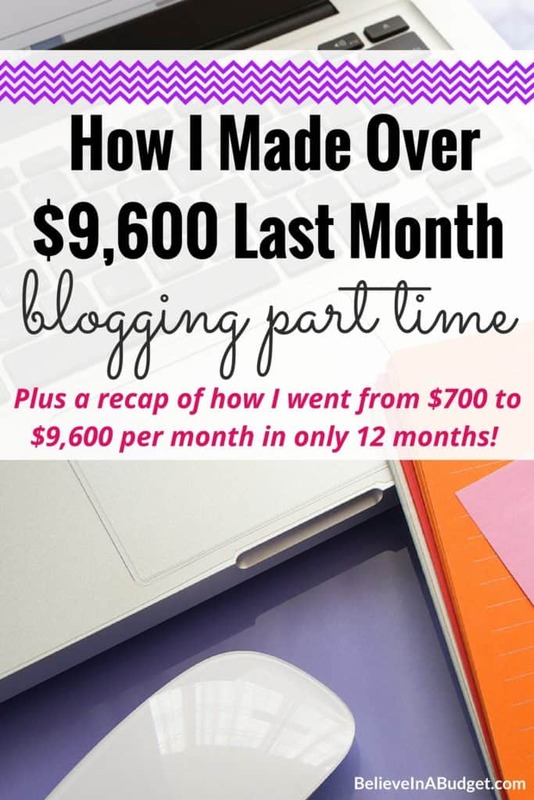 I had no other income from my blog last August. This past month I relied on five different sources of revenue to earn over $9,600 in online income. Definitely makes a difference! One of the biggest things I've noticed is what a difference there is with my time management. When I first started my blog, I was at my full time job. Every waking moment outside of my full time job was spent working on my website. In the beginning, I easily spent anywhere from two to four hours a day on my blog for the first several months. Not kidding! This was mostly because I had no idea what I was doing, testing out things, growing, etc. Today things are a little more streamline and I have a really good grasp on things. This summer I definitely slowed down on things and cut down my hours I was working, but now I'm already gearing back up and plan on working twice as much as I did over the summer. 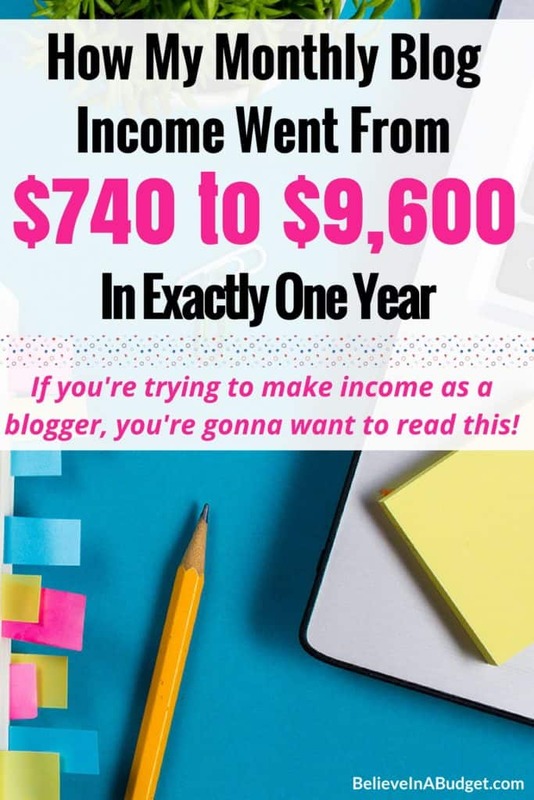 The bottom line is if you have a new blog, be prepared to put a lot of time into it and realize that you probably won't make a lot of money right away. I am total proof that if you stick with it, anything is possible. If you had told me a year ago what my life would be like now, I probably would have rolled my eyes at you and said ok, ha! If you haven't started a blog yet, I wrote this personal post about why you should stop being scared to start a blog and just go for it. I receive a lot of emails from readers telling me how nervous they are to start a blog and how much prep work they are doing to launch. Stop stressing – you can do this! If you are a blogger, what are you doing to prep for fall? You go, girl! 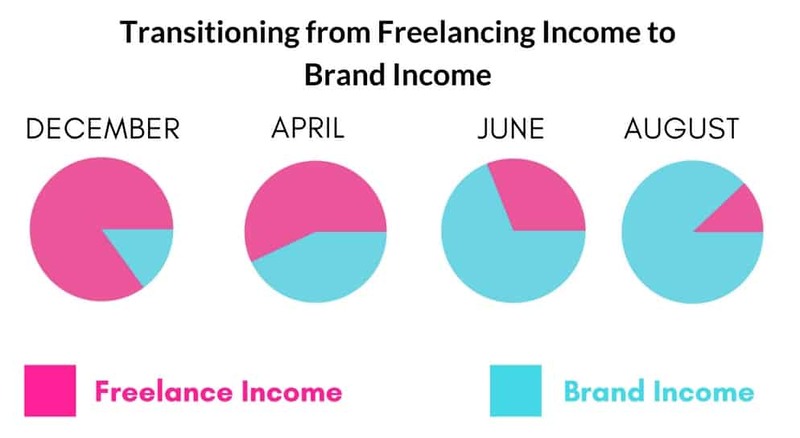 It is so nice to see your breakdown – I love the freelancing vs blog income pie graphs. Isn’t passive income crazy awesome? So happy to see your hard work paying off. I’d love to know more about how you offer your Pinterest management services. Is this part of the Pinterest Presence course? Like, do you approach clients or did they approach you, what do you offer as part of your services or packages? All of that would be so interesting to learn!